W.L. Weller is a brand of wheated bourbon whiskey. That is notable because most bourbons' second main ingredient behind corn is rye. 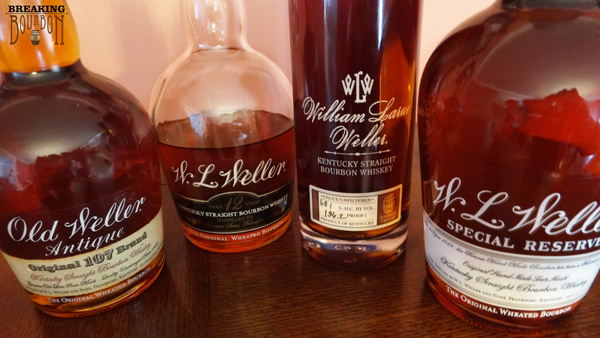 The Weller brand was named after William Larue Weller (1825-1899) a distiller of bourbon in the early days of Kentucky. As the legend goes, Weller was the first to produce a wheated bourbon in the mid-19th century. His whiskeys were so popular that he had to put his thumbprint in green ink on all invoices and barrels of whiskey sold to insure his customers that they were getting the real item (Liquor Store Magazine, Feb., 1970). 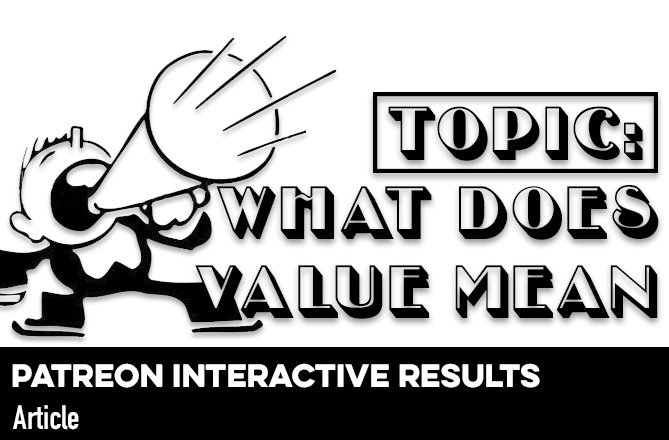 His brand was originally owned by Stitzel-Weller Distilling Company, but has been sold many times in the late 20th century. It’s currently owned by the largest distilling company in the U.S., the Sazerac Company. 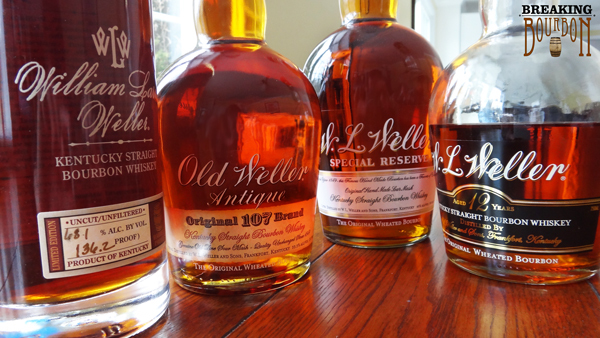 They produce four brand varieties of Weller: Special Reserve, Antique, 12 Year and William Larue Weller. ‍The Weller brand is one of the most universally loved collections in all of bourbon. 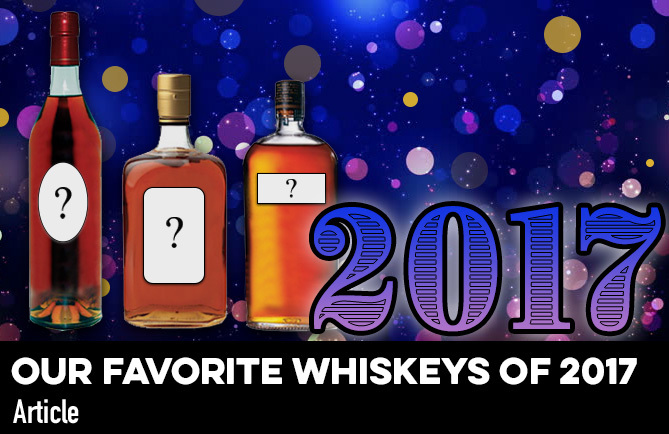 It’s generally seen as a well crafted bourbon with a decent amount of complexity as well as some of the most price conscious bourbons on the market. Terms “bourbon’s best kept secret” and “best deal in bourbon” are used to describe the $20 dollar bottles in the line. As for the William Larue Weller, it’s part of Buffalo Trace’s Antique Collection and year after year it’s the most sought after bourbon of the collection. For this face off, I’ll directly compare and contrast each of the offerings’ nose, palate and finish with the others and hope to discover each brands distinctions. If you’ve read our reviews of them so far, you know these are all quality bourbons and this will be no small feat. There’s almond, caramel and vanilla upfront, with oak and leather on the backend, that are all wrapped up in a sweet-to-the-nose package. Fainter hints of citrus also develop as the bourbon breaths. The alcohol hits you first. It’s not overkill but a bit surprising for a 90 proofer. It has hints of apple, caramel, honey and a dab of vanilla. A light oak aroma also mixes in. Sweetness envelopes the whole package. The strong alcohol smell quickly is overtaken by an intense wood scent. The sweet wheat aroma is accompanied by hints of orange and minor hits of maple and caramel. There’s a lot of spice immediately hits your nose, with subtle hints of vanilla, caramel and butterscotch. Deeper within the nose are whiffs of leather and nutmeg with trace amounts of cinnamon. Most surprising is the amount of oak that comes off of it for a relatively young bourbon. If you smell hard enough maybe even some sweet barbecue sauce. ‍First, the biggest surprise: Antique has the weakest nose of the bunch. Despite being the highest proof of the $20 Wellers, its lack of age must be the biggest contributing factor to this. Letting the Antique rest allowed the nose to open up and release a good amount of spice. Special Reserve had the sweetest nose of the bunch, but also a good amount of alcohol scent came with it. The 12 Year smells like what a typical bourbon should smell like. It’s balanced with perfect amounts of caramel and vanilla upfront, with oak and leather on the back end. WLW of course being 136.2 proof had the strongest nose of the bunch that gave off the sense that it had the most to offer in that regard. It’s an pleasant barrel proof nose that instantly makes you want to taste it, but it’s nothing extraordinary. ‍WLW nose not out of this world, but heavy and layered enough to be the best of the bunch. The 12 Year comes in a close second though. It tastes very close to how it smells. All of the nuanced aromas of the nose also develop similarly on your tongue. It has a sweetness to it, yet never goes overboard as you think it might. There’s also a subtle amount of dryness that arrives midway. The palate isn’t quite equal to the layered texture of the nose but it comes close. The wheat makes the bourbon sweet and a very pleasant sip. The vanilla and caramels really come through more as they hit the tongue. It’s not a very complex sip, but at least a pleasant one. Aggressive. Although that is to be expected of a 136 proof bourbon, what’s surprising is its less than expected burn. An intense load of flavors hits your tongue at first sip; so much so it’s almost hard to pick it apart. This rich flavor isn’t overpowered by the alcohol, but rather it overpowers the alcohol. There are so many flavors that hit your tongue all at once it can be a shock. It opens with caramel, honey and butterscotch, but quickly gives way to its oaky foundation with hints of tobacco. It comes off a bit thin at first but then a tidal wave of flavor and heat hit that even affects your nose. It feels like you’re sipping a barrel proof bourbon without the high proof attached to it. It has moments of sweetness mixed with some grain dryness and a bit of alcohol flavor within for good measure. ‍Special Reserve is hands down one of the easiest bourbons to drink. It’s not incredibly deep in palate, but its incredibly smooth at 90 proof and sweet to the tongue. I’ve always found the 12 Year to be an interesting mix of sweet and dry. I always enjoy it, but my mood has a lot of influence on this bourbon. With Antique, I’ve always had a push/pull relationship with it. Sometimes I want that full flavor, heavy wood and spice flavor. It’s a bourbon that likes to push back, filling your nose with a good amount of heat every time. It’s not for everyone, but those who like it, are in love it. WLW is powerful and delightful. It’s a full meal of flavor every time. ‍WLW is highest rated and has the best flavor, but it’s also the one that is hardest of the bunch to drink. It’s worth mentioning that Special Reserve, despite not having a complex palate, is extremely easy to drink and always enjoyable. It finishes with some spicy hotness but again, never goes overboard. The wheat’s sweetness is still present, but the finish is better characterized by its equal amount of dryness. It’s a nice balance between the two. Flavor wise, the caramel and vanilla are still present along with more oak. The medium in length finish is also medium in weight. Although it starts sweet, it finishes with some amount of bite. The oak comes through during the finish and provides a bit of warmth to the sip. The bite doesn’t last long and acts as more of a finisher than a deal breaker. On some sips the alcohol does reveal itself quite a bit during the finish. Otherwise, the sweet honeysuckle finishes off the sip nicely. Long. Very long. Rich and complex flavors swirl with wood being the easiest to name first. The burn has a way of lingering much like the flavors do. Even the smallest of sips pack a flavor punch. Deep profile indeed. This where the oak shines through. A delicious combination of char and spice that doesn’t overstay its welcome. The wheat sweetness is still present, but a measured blast of heat will let you know it’s there as it goes down. The finish isn’t overly complex but it has a decent about of weight to it that helps balance the whole package. ‍Special Reserve and 12 Year hit about the same quality level for me. Both are unique in their own way, but neither standout. Antique has a bold finish for a 107 proof bourbon. Despite only being aged for 7 years, a good amount of oak sticks outs, along with the spice that’s found throughout this bourbon. William Larue Weller has a finish that won’t quit. It’s incredibly rich even for a barrel proof bourbon. ‍Simply, WLW has a finish that can’t be matched by a $20 bourbon. Although, Antique has a wonderful long lasting, full flavor finish that must be noted. 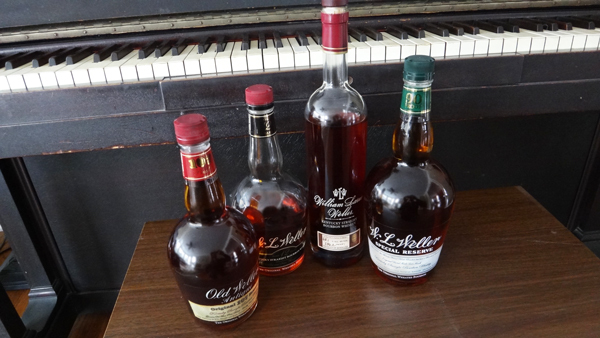 ‍The Weller brand brings a lot of variety between its four wheated bourbons. There’s the easy to drink Special Reserve, the spicy Antique, the refined 12 Year and the always bold and flavorful William Larue Weller. It’s becoming harder to call this line “bourbon’s best kept secret” as its become increasingly difficult to find them on the shelves. 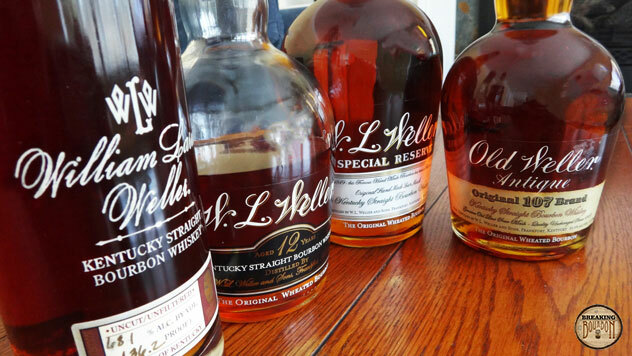 Everyone may differ on their favorite Weller, but bourbon lovers know, these bourbons are far more unique than their price conveys and that the Weller name means quality bourbon.